This is NOT a love story. Or maybe it is… or I dunno? I’m a mess. This is like a Lifetime movie on steroids. It’s twisted, it’s scary, it’s just… it’s a crazy story and exactly the kind of thing I love to read when I need that jolt. It’s about obsession, control, lack of control, being forced to surrender the most basic thing that we take for granted. Ourselves. Our choices. Our freedoms. And the “hero” or I should say anti-hero? Actually no. The villain. That seemingly perfect, gorgeous wealthy tycoon that has it all, but that is obviously so broken. Oh no! Don’t even think for a minute that he’s one of “those”. One of those deep down sweet, misunderstood perfect catches that just needs that one true love to complete him? Nuh uh. If you ask me, he’s a proven psychopath. This author holds no punches. He’s a controlling freak to the point of mental suffocation, expects constant perfection, obedience and submission, (not just from her… from everyone) and loses his absolute mind with unrestrained abandon. Flies into unmanageable irrational rages with no sense of logic (or no patience to even wait for it). And then… at times when you think he’s gonna blow… he listens. Jekyll and Hyde, this one. So no…he’s not one of “those” heroes. Although some (er… many) of our fellow readers would beg to differ. They LOVE him. I… what!???? There are no words. Well, I’ll be fair. Most of ’em felt the way I did at the end of this book. Somehow, though… I hear #2 (Truth) is going to flip my world upside down and my every perception of him, will be questioned. Maryse’s Book Blog: Grrrrrrr! Love him, you say? *hrmph! * Not. Happening. Kirsten: You’ll understand Tony much better once you read Truth… Promise. Megan: I finished and I way don’t like him. Understand, yes. Like, Ehh not so much I feel bad for her. Kerri: I loved tony at the end of truth. Maryse’s Book Blog: Ohhhhh I see… So he like… turns into the Hulk or something? See? A monster. Hehe. Wait why am I laughing. More like grrrrrrrrrrrrrr! —> *acting like Tony* —>“Rooooar! Something I didn’t have control over. Tony mad!!! Tony smash!! !” Ok. Tee hee! I’m being bratty, I know. I’m liking this book very much. Don’t wanna put it down, but I needed to release some steam. That helped. 65% is a very enlightening conversation. But then again… He’s not in Hulk-mode right now. Jennifer: Sandra M, don’t wait. Start Truth NOW. Sandra M: I just bought it!!! Sandra S: Keep Calm and *heart* Tony.. Yeah we are total nerds and made shirts for Boston! Alyssa: You’re all crazy!!!! But I have to say I hated Tony in the beginning. That hate lasted halfway through Truth. Then I wanted to scream. A lot. Because at the end of Truth all of a sudden with all the twists as turns and tears, I didn’t hate him anymore and was having such angst for him!!!! It was such a confusing duo to read!!! Colleen: Questioned my sanity after reading the books and still loving Tony! My problem has been what to read next! Everything has dimmed after reading these books! Chrissy: I couldn’t understand why people liked Tony but after Truth it all made sense. *raises an eyebrow* <— I wish I could do that! At least my smiley can! Whoa. What kind of magical powers does this author have, to have convinced these girls otherwise?? Those must be some crazy-awesome twists and now I’m dying to find out what it could possibly be, ’cause my brain has NO idea. Okay so what’s it about? Be careful who you talk to, what you wish for, and who you make a “deal” with (even in flirtatious jest). Urgh!! ‘Cause if you ask me, this girl made a deal with the devil himself. Anthony, the hottest bachelor billionaire alive, has set his sights on a cute bartender. The sweet college graduate “Claire”. They flirt, and then he takes her. TAKES. HER. Holds her prisoner and we hate him from the start. He doesn’t build from the sweet (but secretly psychotic) boyfriend potential into the controlling freak. This one’s the opposite. He “pays off her debts” and now she belongs to him, is at his disposal for anything and EVERYTHING he needs, anytime, anywhere, everywhere. There are rules. Ohhhhh there are rules. And there are consequences. Many of them physical. UGH!!!!! Anthony Rawlings was so different from the man she met less than a week ago – the handsome tall man with brown hair and the darkest eyes she’d ever seen. He’d been polite, kind and gentlemanly. Last night, none of those words could be used to describe him. To say he was cruel would not explain what she endured. One could say demanding, aggressive, controlling – but above all, rough. Physically fighting had been counterproductive, it only seemed to intensify Anthony’s resolve. She needed to yield, temporarily, to his demands in order to access a means of exodus. Could Anthony Rawlings really be two such different men? So yes. The reader will be led emotionally astray. But we kind of love that right? I had a few panic attacks with this one. I even put the book down at a certain point for months! But after the reader enthusiasm for book #2 (Truth), I knew (for my reading pleasure – oh it just sounds so wrong to say I enjoyed reading this) that I had to take this journey too. It’s a different kind of “enjoyed”. It held me captive and I just had to know more. After all, this “dark psychological thriller” kind of read, is right up my alley. Like my love for scary movies, I simply can’t deny myself this kind of occasional reading impact. And I don’t regret a single moment of having read it. It was exactly what I needed. Something different. Something unpredictable. Something scary. Adrenaline-inducing. Shocking. An unacceptable circumstance that I was being forced to accept. And I was scared of myself. Of how I would possibly come to connect to that monster. Sure… there were moments where it was a bit slow… detailed and drawn out. Long. Definitely a long book. But in no way did I want to put it down. Mind you, it was so long that I had to (when I’d suddenly realize that I was reading the book through my closed eyelids). hehe. I’d be dreaming of the story with my iPad propped up in front of me. So yes, I did have to put it down. But I was picking it right back up every chance I get. I think I slept in intervals of 3 hours at a time, and upon opening my eyes, I would begin reading again. So yes, it advanced at a moderate pace, but I was never truly “bored” because there was always that threat looming in the background. Hovering. Never allowing me to get too comfortable. … some days were better than others. She knew the difference with her life was that her barometer was not her. It summed up her dependence on Anthony Rawlings. The tone of her life depended totally and completely upon his frame of mind. She constantly walked on eggshells and I constantly read on eggshells. The “slow” feel was almost a requirement at times. Calming us. Giving us a false sense of security. Leading us to impending disaster. Overshadowed by that “Oh oh. Something’s coming…” feel. Constantly hovering, threatening, looming. Living with a man like that? There were always unavoidable repercussions to deal with. Those slow times also gave me hope. Although… deep down, I knew better. I’ve heard things. Not spoilers, no. But reactions. Enough to let me know my ride with this book would likely not end well. Or maybe it would? But either way, I’d be shocked. And really? What could I possibly *hope* for considering a few of the past outbursts. Redeemable? I think not. His eyes said gentle but she remembered fury. But no matter what, no matter how much I enjoyed this book, and at times hated it (you’ll see why) it is our fellow reader’s reactions to how crazy, revealing, shocking, and exciting #2 was that sold me. And I just HAD to know how an author could possibly take us from this side of hating a character (ohhh such a strong word but I’m sticking with it) to that side of loving him. Impossible. No. Way. But I gotta know how she does it. I gotta experience this crazy mind-twist she’s gonna pull on me. I have a feeling all of you were Jedi-mindtricked and i’m going to enjoy the challenge. I’m going to do my best to resist, now that I know how much you were affected. *sigh* Okay fine… Maybe I’ll just let go and get carried away like the rest of you “crazy Tony fangirls”. I do like when that happens, after all. I do love my questioning my own sanity while reading, but this? What you guys are hinting at? This just seems like it’s too much. I mean… how? Howwwwwwww is this possible? *ahem* I mean. Bring it on! P.S. Oh!! And there are multiple “support groups” for this series including our very own right here: http://talk.maryse.net/threads/consequences-by-by-aleatha-romig…-what-here-we-go….295/ Spoilers abound, so enter at your own risk!! It’s a HUGE discussion! Read, got so mad that I was seething at work the next day and my fellow co workers had to read because of my constant foot stomping all day. I was so confused and angry. But I loved it! Now I am unhappily awaiting number 3…. Probably falls in my top ten of reading series! Way to go with finishing this book! I definitely struggled as well…I think I even put it down for a couple of days and then came back to it after I collected my thoughts. Truthfully, it was the support group on the forum here that got me through the book – have people to talk through the “crazy” helped and when “Truth” came out, a lot of questions were answered. I can’t wait for “Convicted”! Maybe that will be the book that turns me into a full-fledged Tony lover like some of the other gals…I’m still on the fence ;). That book. Man, I was talking to myself non-stop. My family, friends and students seriously thought I was CRAZY!! I even yelled at them about the book. The second one was a bit easier on the emotions but was still nothing up upheavel and angst because this is the book that makes you question EVERYTHING you think you know. I cannot wait for the third, I need to know if my right and wrong sensors need an adjustment after reading this series. Tracey!! LOL!!! Perfectly said! I have a feeling I’ll be there soon. And again. ACK!!! Oh Christina! Good to know that you’re still on the fence. That means it’s not a foregone conclusion. You will love Truth! It is an unbelievable book. My friend and I have had many discussions at work about Tony and Claire. One if my favorite books of 2012! Great review Maryse. I knew you could get through it. 😉 Lise I remember those bok bok posts. LMAO. Tony is perhaps an aquired taste, but I do believe that Truth will help you understand him more. Love this series. I’ve had Consequences & Truth sitting in my Kindle with the rest of my TBR list, bought both at bargain prices, but till you started going on about Consequences, & not into the book I was reading, so started & I’m not knowing how I am feeling, but reading on I go. Kkkk..Maryse I’m glad I sent you the request to read before US…this book shocked me out of my (very expanded) Comfort zone. Truly. I. Hate. Tony too..but, I’m dying to read True…I want to see “How people loved Tony”? I have to read it and see too..it’s killing me..I didn’t want to FEEL anything for him…so, lets see. OK I am half way through the book and I am at the point where I have to put it down. OMG how much more can she/I take. All I can say is RUN!!!! LOL. Maryse, I can see why you had to put the book down for a while. Whoever wrote they needed to read about kittens and unicorns….I am with you. OMG…I am not usually a vengeful person…well I least I didn’t think I was until this book!!!! I want REVENGE and not the gentle kind in the least. Maryse you put the words to my feelings and I am astonished about the way some actually like him. I am running to start Truth now so that maybe I can understand this feedback better but I just don’t see it happening. Well I will just read and see because my feelings have been known to change when the stories are so twisty like this one. Thank you for your review and putting to words what many of us feel. Oh and if Truth ends as this one did I am going to be an anxious wreck until the release of Conviction!!!! Holy crow! WTF! *spoiler*? Seriously? I mean, seriously??? Do not see how this one can get around all the physical violence. I mean seriously? WTF!!!!! Oh noooo! Am I weird for getting excited to read these books? I bought both last night but I’m afraid to start them…really really afraid to START THEM!!!! The hype excites me…but then again the reviews Scare me…Tommorow Tommorow!!! Thats my latest “mantra”. I’m shaking and so disgusted with Tony! What a disturbing story! What a shocking ending! Maryse, OMG! Is right! Have to read Truth but not sure if I will be able to take it! Really hope Tony gets what he deserves and then some! The stuff that Tony had done to Claire is unforgivable. I don’t get how any one could be Team Tony! I guess I really do got to read the sequel! All i can say is GRRRRRRRRR!!!!! I hate Tony….so far! But I am about to start Truth. So maybe that will change. I doubt it because the ladt several chapters of book 1 made my blood pressure go through the roof!!! I LOVE my Nook but Tony made me want to throw it in the back yard and bury it! After i read it, i only THEN discovered that there is a book 3 and not due to release till “the end of 2013″….WHAT?!?! Gah!!!!!! Just finished Consequences. OMG, so many twists and turns. I don’t understand how anyone can like Tony. At one point I realized I was actually shaking. Although I should probably take a mental break, I can’t help it…downloading Truth now. Just wait. There was a certain moment in the first half of Truth that had me shaking. Eeeeeep! I just finished Consequences and knowing how long it’ll take for Convicted I almost want to wait to read Truth. I almost feel like I need a break, too, to finish digesting. But can I wait? It’s already sitting on my iPhone waiting for me as I bought it on sale the other day. It feels very ominous, though. (PS: I HATE Tony!) Burying myself in work avoiding it but it’s almost whispering to me. I might be too angry to read it yet. Did I mention that I hate Tony? I was all in for Christian Grey from the elevator scene at the start of the first book and forgave him every time he hurt Ana. I even fell for Caleb in the Dark Duet series despite hating him at times but Tony? I can’t see him being redeemable at all. I read in an interview that the author used Joe Manganiello as her inspiration for Tony’s looks and Tony just might’ve ruined Joe for me!! I’m babbling…I do that when I’m all over the place emotionally after a book! lol. I don’t know what to think of this book. I absolutely despised Tony and had to read another book in between Consequences and Truth to pick me up. (BTW, I read Wounded by Jasinda Wilder which was excellent). There is nothing about Tony that is redeemable or likable. For Claire’s sake, I kept wishing she would wake up and smell the restraining order. I will be starting Truth today with the hopes there is some justice in store for both Claire and Tony. Please ladies, I would like for you to let be part of this discussion because first, I LOVE both books and second, after reading both books in 5 days…getting crazy feelings towards Tony and all…and then LIKING HIM so much, I tought …OMG! I have issues…should i make an appointment with a therapist? At the beginning I hated this guy, but as the story progressed, as wrong and inmoral and without any dignity as it may sounds, i was REALLY atracted to him , besides all of his unforgivable actions and behavior, was his alpha male attitude .. at the end of “Truth” None of the other characters, such as John or Harry appealed to me like him…. I think I need to go see a shrink! WTH! Just finished Truth, and let me tell you, My job suffered! I would litteraly sneak read at work it was so good! 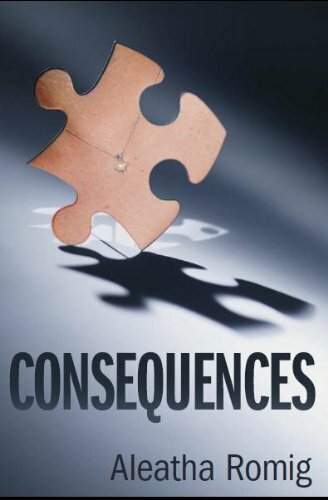 I just started reading Consequences and my head is spinning. I couldn’t sleep last night. My brain refuse to shut off. I can’t wait to read more. O M G, OMG, omg! Just finished And I. Am. Exhausted. I hated Anthony, loved Anthony and hated him again – with a vengence. I don’t know about anyone else (I would love to hear though. ), but I totally pictured Joe Manganiello the entire book. And now, of course, everytime I see him I’m going to think of Anthony Rawlings. Who cares, right? Hot-Ness. This book makes me feel like I’m the nut. Wonderful blog post. From two years earlier and just as timely now. Having stumbled upon Consequences little did I (or any reader) realize the rabbit hole we’d fallen into. ~screech!~ Or what to make of the world once we’d crawled back out. (truthfully I didn’t want to leave. Stockholm~TONY RAWLINGS~syndrome as it is now known… maybe.) Alllllllllll I can say is I couldn’t read fast enough Books 1-3 and 1.5. What a rush. What a trip!! And now what to do after crash-landing??? In need Rawlings withdrawal therapy suggestions stat.